When Jackson buys a new property that needs some work, he relies on the recommendations of friends to find the right man. When he walks, quite literally, into Ethan’s arms, Jackson thinks he may have found Mr. Right. 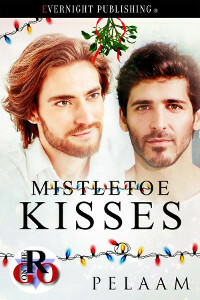 When shyness leaves him tongue-tied, Jackson decides to leave the talking to the mistletoe, and ensure there are plenty of mistletoe kisses.